We are writing this to you to seek your help in our efforts towards social responsibility through the Paul Peter Charitable Trust we have created recently. It is a Registered Public Charitable Trust (Registration No. 44/2016, 14/10/2016, PAN No. AADTP1683M) with 12AA certificate (No. AADTP1683M/05/17-1/T-0057), meant for exemption from income tax. It is basically a rural based Trust with its special focus on the education and medical facilities of the poor in the rural areas. To begin with, we will be focusing on Maravapatti and a few neighbouring villages. This is an interior area, located in Dindigul District, Tamilnadu, with no public transport or medical facilities. 1. Repair of the School Building: The village primary school, located at Maravapatti and has been running since 1950, has a strength of about 310 students from KG to Std 5. All these years the students have been sitting on the floor of the classroom. I too studied like that in the same school in my childhood days. About 15 years ago we had helped the school in putting up a new double storey building. Today it is badly in need of some repairs and painting. The staircase and balcony railing wall is broken and there are some cracks on the walls and ceiling. Since it is a primary school, the children’s safety is at risk (Photoes added). Hence, we would like to do these repairs and paint the building. Your contribution for this cause will enable hundreds of rural children studying in this school for the coming years shape their lives for a better future. 2. 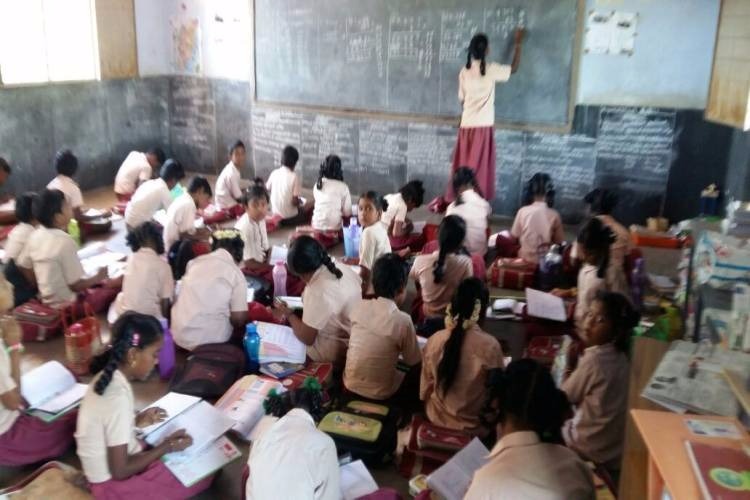 Classroom Furniture for a Rural School: Though started in 1950, all these years the students have been sitting on the floor of the classroom (Photo added). I too studied like that in the same school in my childhood days. About 15 years ago we had helped the school in putting up a new building, but without any furniture and light or fan. Till today it has been running in the same way. Now through the charitable Trust we have created, we would like to take it up as one of the priorities to give a decent facility for the rural students to study. We would be grateful to you if you could become partners in this endeavor by joining us. 3. Transport Facility for the Rural Children to go to School: Maravapatti is an interior village. The school children come from the neighbouring villages located at a distance of about 5 kms. The road is very bad and there is no transport facility for the school-going children. The Trustees on their own initiative, were transporting about 20 children of the neighbourhood to the school. After setting up the PAUL PETER CHARITABLE TRUST, the Trust hired a vehicle in November for the regular transport of about 30 children to school. The vehicle runs for about 24 kms every school day fetching the children in the morning to the school and dropping them back to their villages in the evening. This costs the Trust about Rs 21,120, at the rate of Rs 5,280 a month and Rs 240 per school day since December 2016. But for the transport facility provided by the Trust, these children may not have an opportunity to go to school. Now the Trustees are dreaming of buying a school bus to transport these children back and forth. We would like to buy a Mahindra Tourister Cosmo School Bus 40 Seater, which will cost about Rs 16,50,000, including the registration and shed costs. 4. Scholarship for the Poor Students: Vivin Paul is a 12 years old deaf and dumb boy from Maravapatti Pudur, studying in a school for the deaf and dumb in Trichy. He has been deaf and dumb from birth. The parents are poor farmers and they are illiterate. For the past few years we have been helping him financially for his education. After setting up the PAUL PETER CHARITABLE TRUST, the Trust has helped him financially with a scholarship of Rs 10,000 for his education. Similarly, Daniel is a 15 years old and is studying in class 10. His parents are farmers and illiterate. We have been helping him for the past few years. After setting up the PAUL PETER CHARITABLE TRUST, the Trust has helped him with a scholarship of Rs 5,000. It is our belief that our little support to the poor students’ education can go along way in shaping their future. Hence,the Trust will continue this activity. The Trust has allocated a budget ofabout Rs 50,000 for the same. Depending on the availability of funds, more may be allocated at a later stage. Through this clinic we may be able to cater to at least about 500 patients a month, many of whom may require physiotherapy all their life and the rest for a temporary period till their limbs/body regain their mobility. We have already hired a qualified Physiotherapist for the clinic. More staff will be recruited, depending on the need, in the months to come. Of the above mentioned items, the Trustees have pooled in their resources to the tune of Rs 1,00,000 and have already purchased some of the equipments and furniture. We are looking for volunteers for the balance amount. We would be grateful to you if you could join us in bringing some relief to the suffering. Dear collaborators, as you may see, the total cost estimate of this project is Rs 50,65,700. You may not be in a position to take up the entire list on this appeal. Still, you can become our collaborators by choosing an area that you would like to sponsor. You may send the amount to the bank account of our Trust directly and intimate us about the same. We promise to execute the programmes mentioned here and send you an audited report of the same. The children and villagers will appreciate and be grateful to you for any donation you give them, big or small, and God will bless you and your family for your gesture of kindness and generosity to His people. Your share could be as good as a donation for PAUL PETER CHARITABLE TRUST! Not everyone can afford to take care of their loved ones. 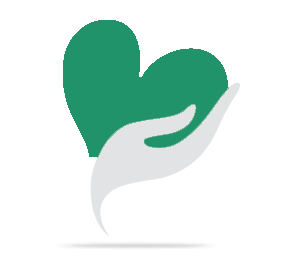 PAUL PETER CHARITABLE TRUST's life can only be saved by donations made by kind people like you.